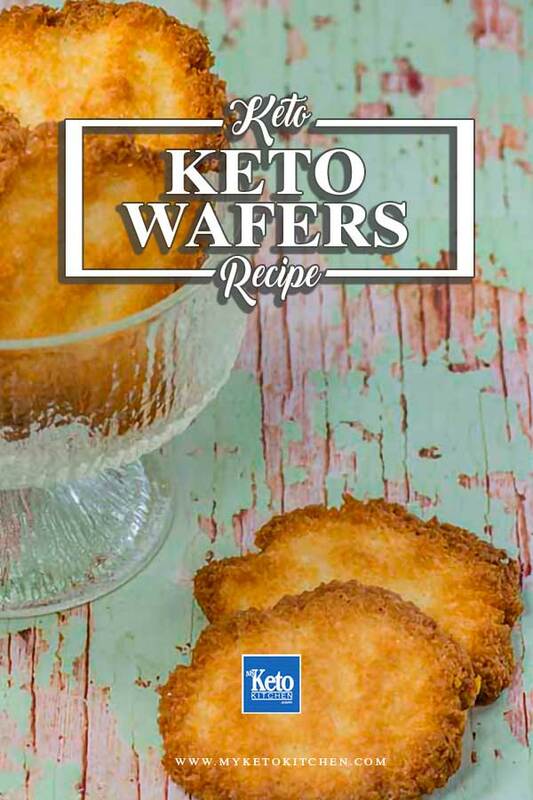 Our Low Carb Keto Wafers recipe is the perfect addition to your Keto Summer Sundaes. 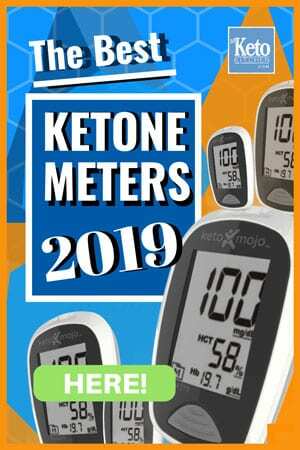 Keto Wafers are the perfect addition to our Dairy Free Low Carb Coconut Ice Cream or our Sugar Free Chocolate Keto Ice-Cream. You can see photos of our lovely coconut wafer shards complimenting the ice cream there. 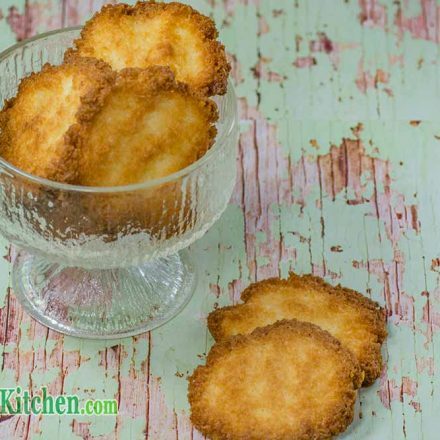 These Keto Coconut Wafers are easily adapted to a dairy-free keto snack by swapping out the butter for coconut oil in the recipe when cooking. Preheat fan forced oven to 150C/300F. 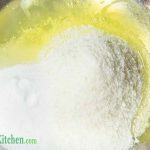 In a bowl mix together the egg whites, coconut, erythritol, stevia and salt. Mix well. FOR WAFER SHARDS: Pour the mix onto a lined cookie sheet, place parchment paper over the top and roll into a 1/4in/5mm thick sheet. Using a knife, gently press lines into the sheet to split the wafers later on. Bake both types of wafers in the oven for 20 mins, then turn the tray around and bake for another 5 minutes. Remove when the edges are browned. The wafers will appear soft immediately after baking, allow to sit for 10 minutes to harden up. If your wafers are too thick they may require additional cooking time. Once cooled, wafers can be stored in an airtight container to retain their crunch. Nothing says Summer like an ice cream sundae topped with a wafer. 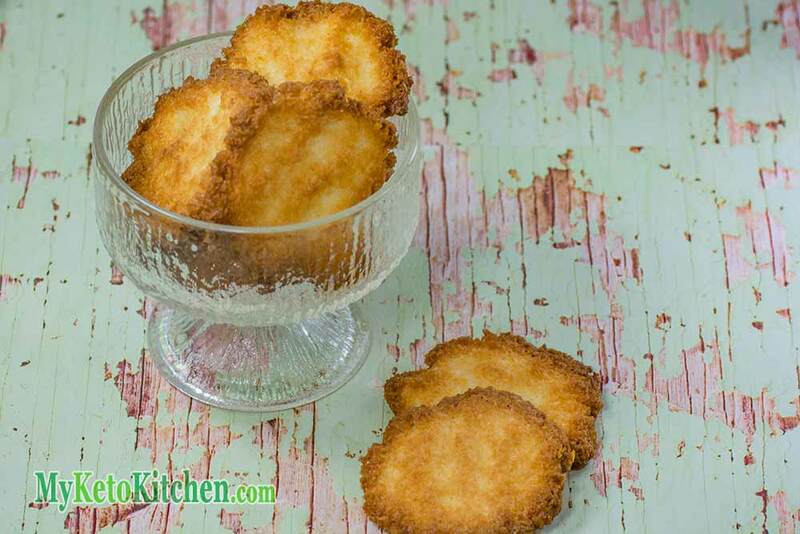 Our Low Carb Coconut Wafer Cookies are the perfect addition to your Keto Summer Sundaes. In a bowl mix together the egg whites, coconut, Natvia and salt. Mix well. 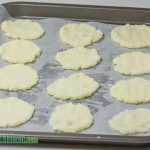 To make a larger batch of this Keto Wafers recipe adjust the serving amounts in the card above. Just made these and they were delicious. Only change I made was I added lakanto Monkfruit sweetner. Thank you!